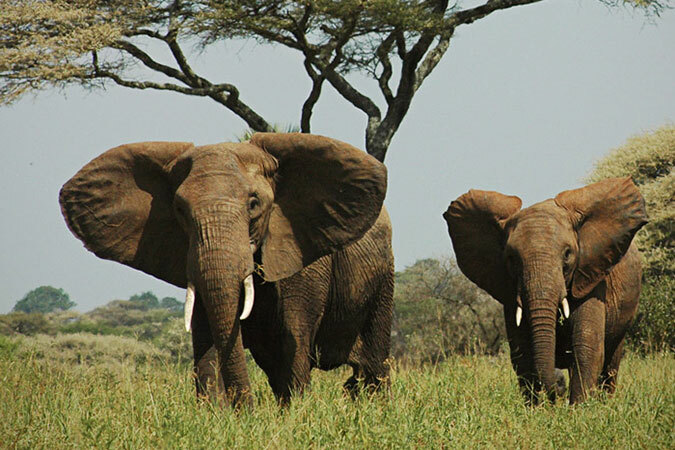 Penelitian - In Tanzania’s Grumeti Game Reserve, next to Serengeti National Park, elephants roam, rangers sleep more peacefully at night, and poachers have been put on notice, thanks to new technology designed to protect one of the world’s most endangered species. “EarthRanger takes you from being reactive and always behind and always after an animal has been killed, or a ranger has been injured or killed to being proactive, to really being able to anticipate and get ahead of the problem,” said Ted Schmitt, Vulcan Inc’s business development manager for conservation technology. From EarthRanger’s operations room in Grumeti, the rangers view screens where they can observe every elephant which has been fitted out with a tracking collar. Game scout Gotera Gamba said the technology has made the conservation work he and other scouts do far easier and more efficient, saving the lives of elephants and protecting staff on the reserve from poachers. “Previously our job was very difficult because, for example, if you got an alert it would take a very long time before you go out to respond as you had to note it on a notebook, and rigorous communications with the radio room,” said Gamba.